Microsoft SQL server 2008 Management Studio Express offers management tools for Microsoft SQL Server 2008 Express, Express with Advanced Services and Compact editions. If your database is hosted on an SQL 2005 Express server, install Microsoft SQL Server Management Studio Express. SQL server 2008 Management Studio Express runs on Windows 7, Windows Vista service pack 1 and Windows XP service packs 2 and 3, Windows server 2003 service pack 2, Windows server 2008 and Windows Server 2008 R2. This article includes instructions for installing all of the necessary prerequisites. Each installation will be different depending upon the operating system, patch level and previous software installations on the computer. You must log in to the computer with administrative rights to install software. Download the appropriate installation file for your version of Microsoft Windows from the Microsoft Download Center. http://www.microsoft.com/download/en/details.aspx?id=8483 is the 4.5 Installer for SQL 2008 Studio! Open the Windows installer file. Select the option beside “I agree” to answer the licensing agreement query. Download the current version of the .NET Framework for your operating system from the Microsoft Download Center. Open the .NET Framework installation file. Select the option button for “I have read and accept the terms of license agreement” to agree to the licensing terms. Click “Exit” when the message that the setup has completed appears. Download Windows PowerShell for Windows XP or for Windows 2003 Server from Microsoft's download center. Execute the Windows PowerShell setup file. Click “Next” in the Software Update Installation” window. Press “Finish” when the installation has completed successfully. Download Microsoft SQL Server 2008 Management Studio Express from the Microsoft Download Center. Double-click the Microsoft SQL Server 2008 Management Studio Express executable file. Choose “Installation” in the SQL Server Installation Center window. 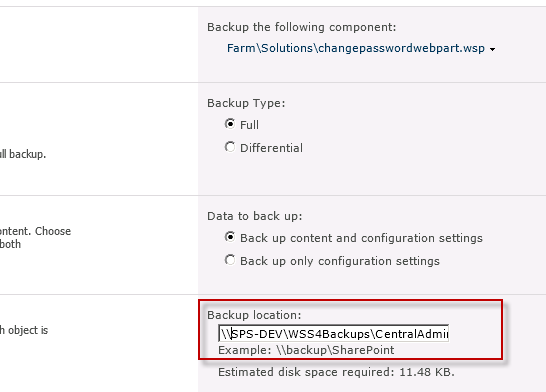 Check for warnings and errors in the “Setup Support Rules” pane. Resolve any failures before clicking the “OK” button. Resolve any failures before clicking the “Next” button. Check the box beside “Management Tools – Basic” beneath the shared features. Click “Next” and “Close” when you see the message that the setup process is complete. Microsoft SQL 2008 Server Management Studio Express simplifies management of SQL 2008 Server Express and Compact editions. Authorized users and administrators can run scripts, create tables, assign rights, schedule backups, replicate, shrink and restore databases from the Object Explorer window. While a long process, installation of the prerequisites and the software will save you time and effort when administering your SQL databases. If you want to switch on the Trace log for MSAccess linked tables to SQL Server then set the following registry key to 1. If you can't see the key then create a new REG_DWORD key and set the value to 1. The log file will be called sqlout.txt and it will be produced in the Default database folder as indicated in MSAccess Tools->Options->General->Default database folder. Hope this helps! Also don't forget to switch it off when you don't need it. This is how to list all Tables and Fields in an Access Database Project (ADP). output.WriteLine tbl.Name & " (" & tbl.Type & ")"
This is how to list all LINKED Tables and Fields in an MS Access Database. Recently I was setting up a new website and came across this error! DON'T be fooled by this error, it does not mean switch on Directory Browsing. This is what you need to do to correct the issue. Server Error in Application "DEFAULT WEB SITE/TESTSITE"